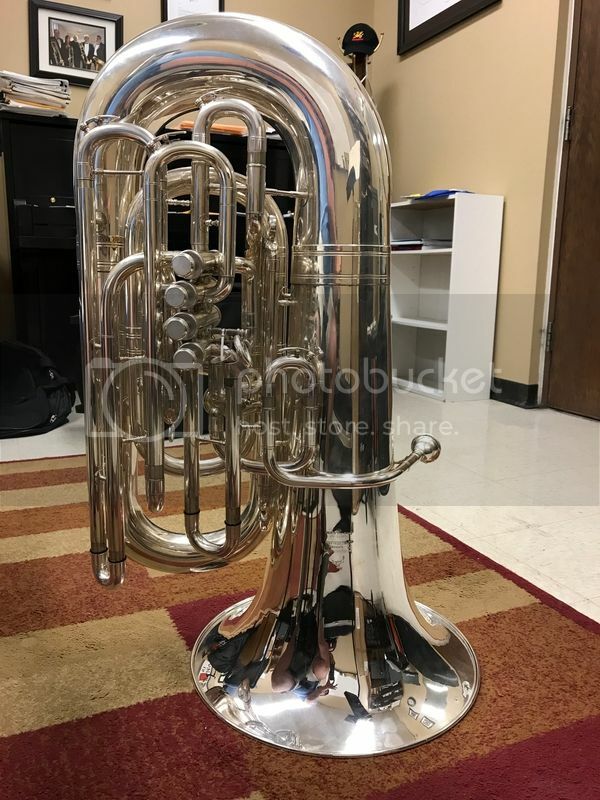 Selling my 1985 Hirsbrunner HB2P 4/4 CC tuba. 5 valves (4P+1R). This is a rare one as the 5th valve is BEFORE the valve block. Silver is in GREAT shape and is a player. Intonation is very good and has the typical tendencies (shallow octave etc) but the E in the staff can be played OPEN with no issues. Great low end and has a very colorful sound. Includes a NEW deluxe Miraphone gig bag and a hard case (in great shape). I love this horn, just need to sell. $10,990 plus shipping. Horn is located in Murfreesboro TN. No trials away, but you’re welcome to try in person.